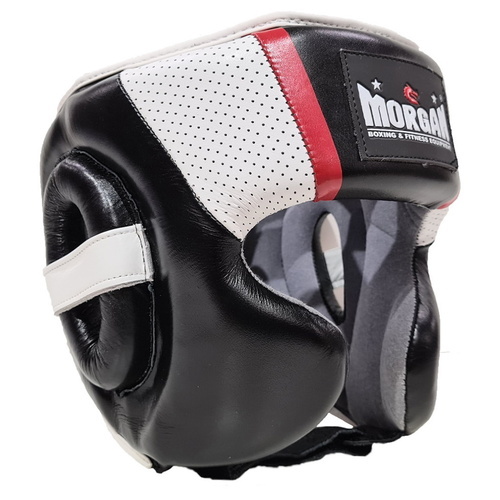 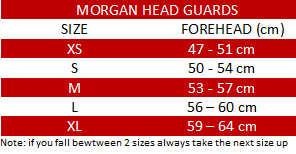 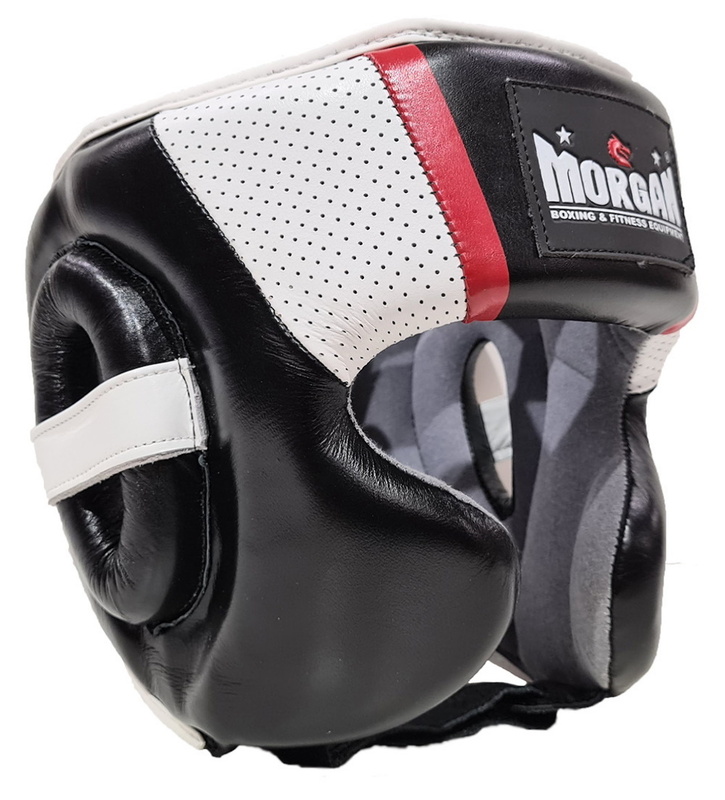 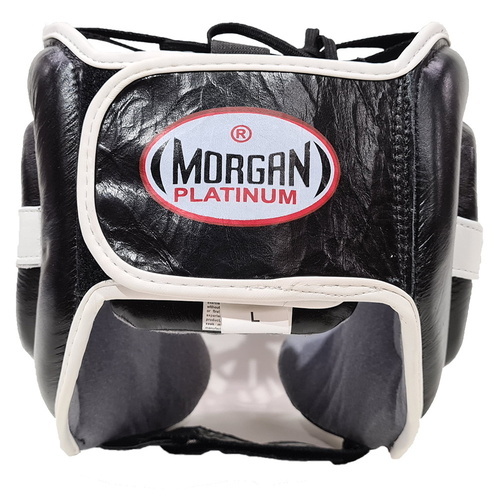 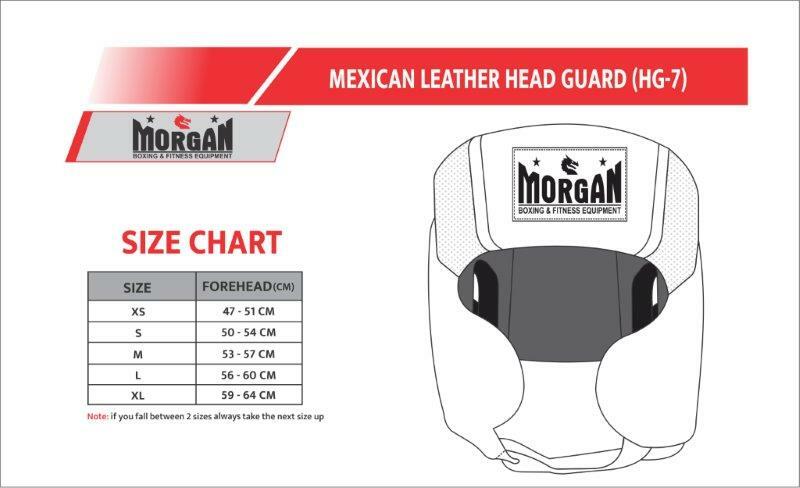 Our V2 Morgan Mexican style head guard offers an absolutely stunning combination of incredibly lightweight and high shock-suppression layered inner foams with durable and extra-long lasting cowhide leather cover for the ultimate training headgear. 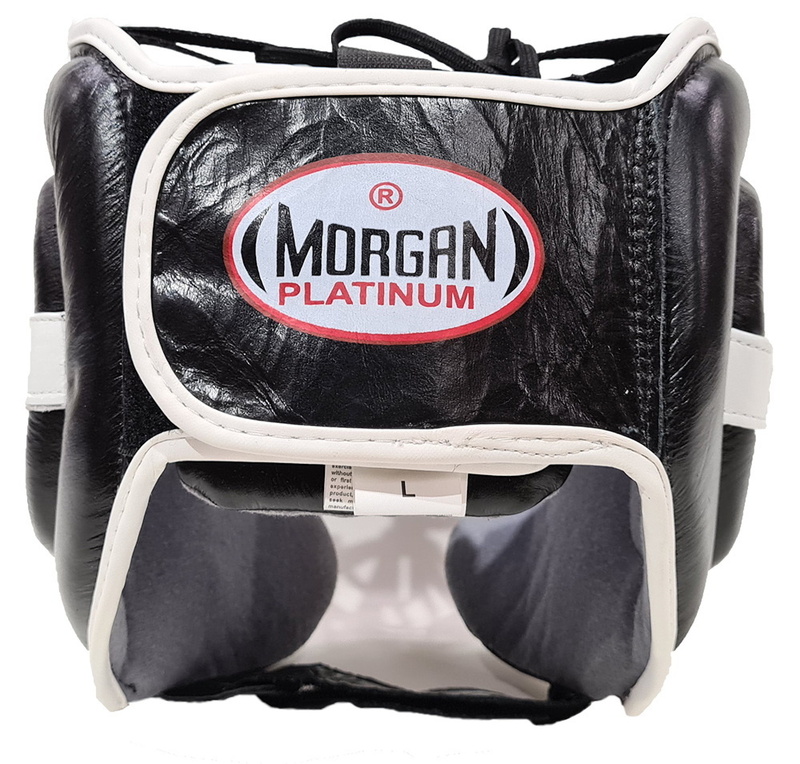 Unbelievable assembly of full wraparound layered wedged foams to create the most comfortable, stylish, protective and ultra-lightweight headgear on the market. 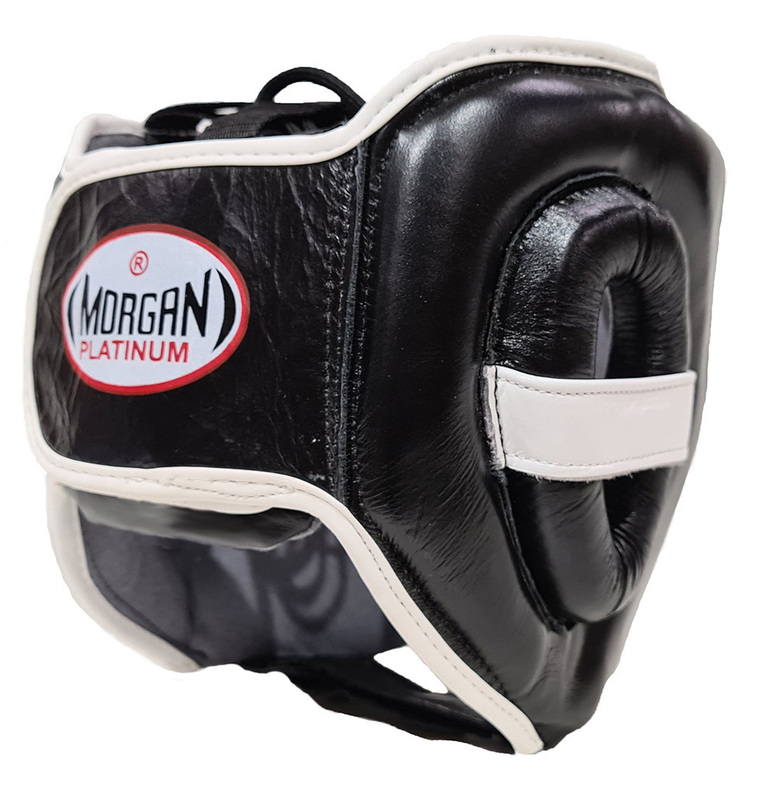 Fully adjustable hook-and-loop fastening on the back of the neck and under the chin for secure, snug and comfortable training. 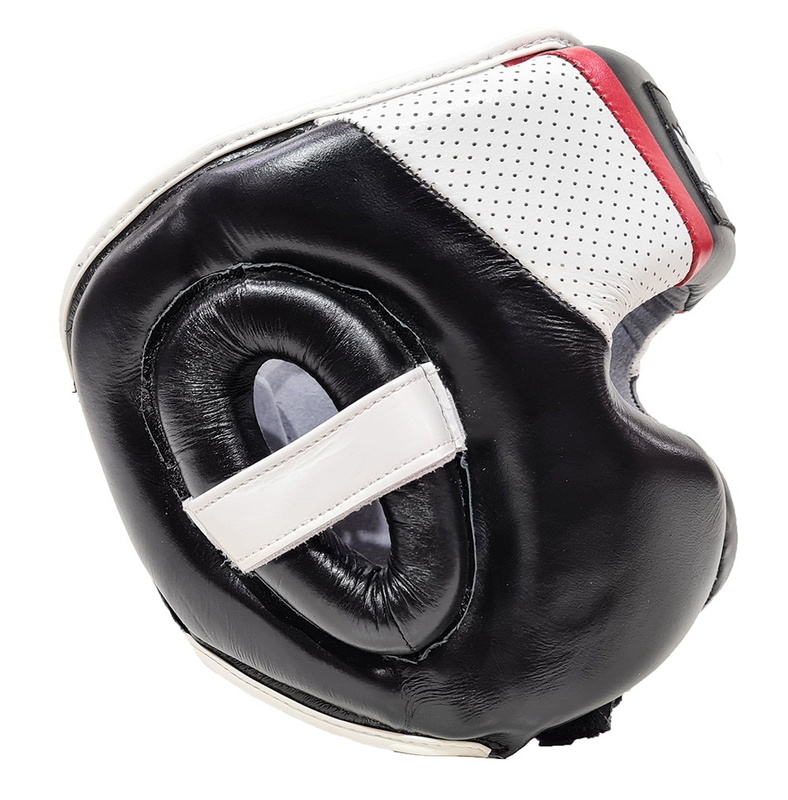 Precision leather mesh insets and moisture-wicking inside lining helps keep you cooler and drier during your sparring sessions.